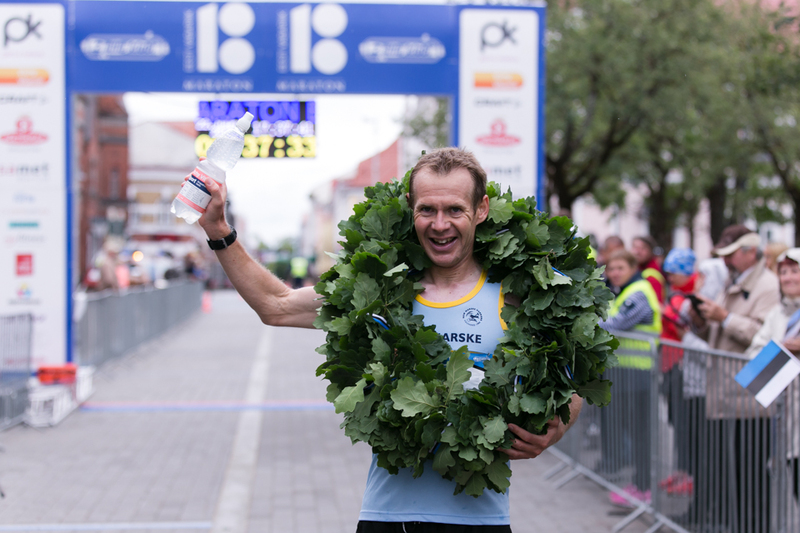 Marathon The Republic of Estonia 100 is a special event of Pärnu County Victory Day Marathon. Taking place on 22nd of June 2018 it marks country’s birthday in a special sporty way. This event embodies an own “story” – Pärnu County has strong connections with restoration of the independence of Estonia. The oldest remaining settlement found on the marathon route is Pulli village and “Manifesto to the Peoples of Estonia” was read out aloud on the balcony of the Endla Theatre in Pärnu. Therefore it can be said that Pärnu is the birthplace of the Republic of Estonia. The distance will take participants along the important historical monuments and presents beautiful landscape of Pärnu County – Pulli Village, the prehistoric settlement Reiu, Reiu-Raeküla pine dune, eye-catching Jaanson’s shore track, Tallinn Gates, moat, Pärnu Beach – and these are just some of the landmarks that make the marathon one of a kind experience. 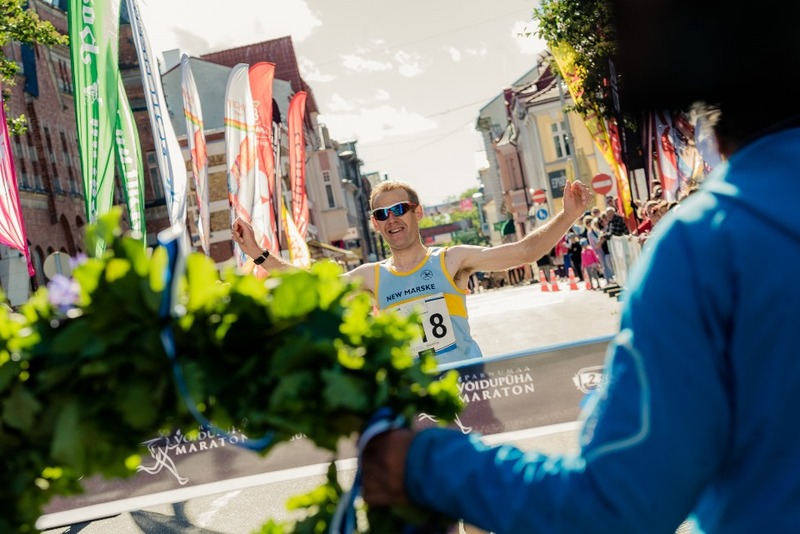 The finish line is special, as the last kilometres run along the summery Pärnu, cheering public along the main street of the city. 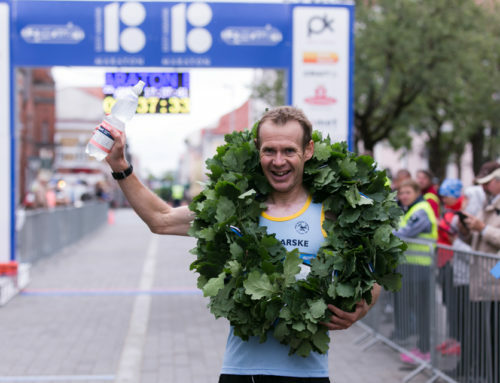 All participants of the marathon and half-marathon will see a lot of blue-black-white along the track and will get a dignified and thematic medal on the finish line – Monument to the Proclamation of Independence on Pärnu Rüütli Square. In addition Craft running shirt is a part of the starting package. 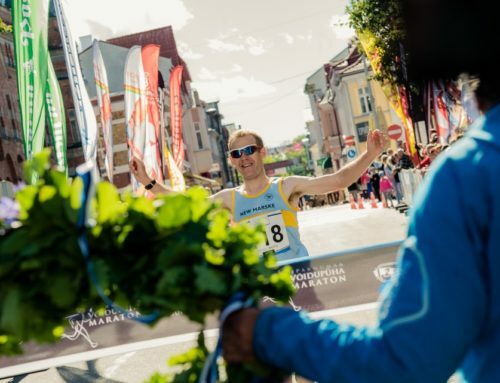 In addition to a major programme virtual race „E-Marathon The Republic of Estonia 100“ will take place. This event invites everyone to the track – people who have no possibility to come to Pärnu but still wish to get part of the jubilee run. One can start at favourable place and time all over the world. Once the distance has been completed the log of the sports watch or mobile app or snap of the treadmill screen must be emailed to the organizer. Treadmill running and (Nordic) walking are also approved ways to complete the distance. 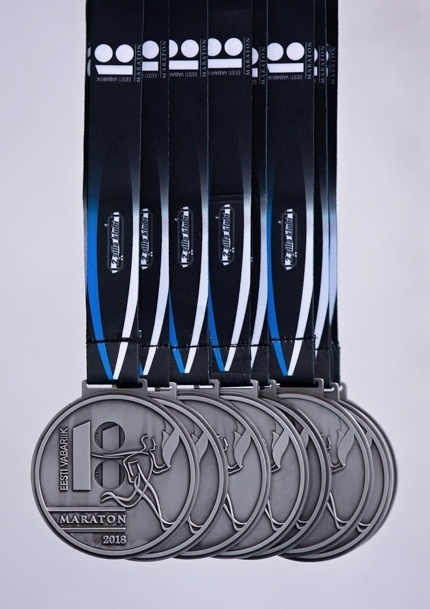 Participant’s name and result of the distance will be published in temporal order in the finish protocol and each participant will receive an electronic diploma and a medal with insignia The Republic of Estonia 100 (medal will be sent by post). In addition sport watches from Polar will be raffled. Participation of the virtual event is available between June 21st at 00.00 and 22nd to 23.59.